Place attachment is the connection we have to the place where we live. The more attached we are, the harder it is to leave and relocate. And, once we have moved and settled into a new home, re-establishing place attachment is vital to a positive relocation. Grief and loneliness can be unavoidable and I would give myself the space to feel what I feel. l would keep in touch with friends, while limiting the time spent on social media. I do not need to see every single thing that I am missing out. Good friendships take time and I would give the universe a toast to that, and spend time taking care of myself. Giving energy to the negative aspects creates added remorse and stress. For example, in order to spend less time commuting, we had to move closer to my husband’s office which was further away from the city. I can choose to focus on the positive, shorter commute and more time together in the evenings, rather than the negative for us, living further from an urban environment. After the first week or two, I would carve out more time on the weekends to explore. Although I understand the importance of nesting and turning a house or apartment into a home, knocking myself out for a few weeks straight can be emotionally draining and exhausting. After living through the emotions and challenges of relocation more than once, I know that exploring and finding joy in a new city is necessary. Looking for local businesses to support is a great way to attain place attachment faster. Not only am I looking for coffee shops, book stores and places to eat with great local craft beer (or whatever is on your list), I am on the hunt for our favorites, the ones we will frequent. Becoming a regular is a fantastic way to start feeling at home. I also enjoy traveling outside of our local area, looking for day trips and longer road trips throughout the state and region. The biggest relocation mistake I made that impacted my ability to establish place attachment was focusing my time around in activities solely revolving around our son for the first few years. Volunteering and showing up for activities are important and a great way to meet other parents. However, I neglected myself and feeding my own soul. Please, I can’t express the importance of this enough. Find a knitting group, book and/or wine club, running group, whatever it is that fuels YOUR soul. Take time for yourself, even if you’re an introvert, to connect with your passion and people. Go, in person, locally, and do whatever lights you up. This turned out to be f*ing crucial in creating a bond to the place where I live, to finally feel like I am home. I should have done it much, much earlier. I have learned to be gentle with myself through the process, before and after the move, to allow space to grieve and acknowledge my emotions and challenges. However, next time, I will get out of our nest sooner and focus on place attachment within the first few months. That big shift of feeling fully attached, the one that makes relocation absolutely enjoyable, may take a year or so to occur, and that’s okay, too, as long as I’m getting out and moving forward. Hopefully next time won’t be anytime soon because I am fully attached. Place attachment can be the most challenging part about relocation, and it is different for everyone. However, it is completely, easily achievable and I get wild joy out of helping clients shorten the time it takes to feel attached and love their new home and town. 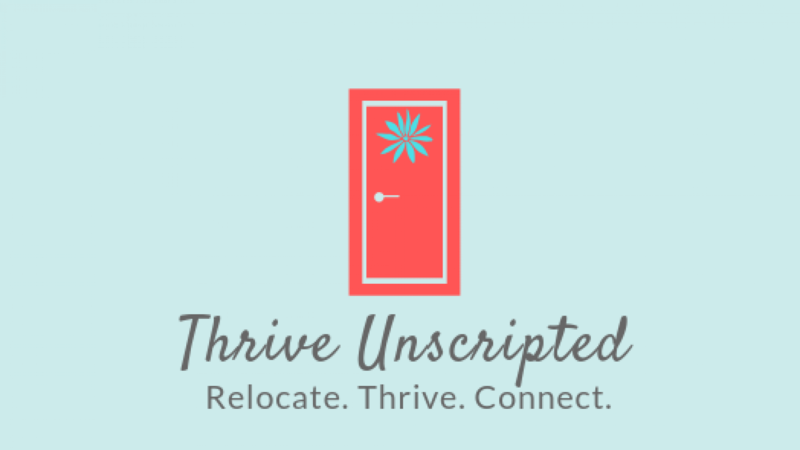 If interested in connecting and learning more, please email me at marniunscripted@gmail.com. I would love to hear about your journey and challenges.